There are approximately 635 pharmacy technicians in Wyoming. According to the BLS, those numbers will grow in response to health care demands. Pharmacy technicians assist pharmacists by communicating with medical providers, filling and dispensing prescriptions, customer service, administration, and the overall operation of the pharmacy. 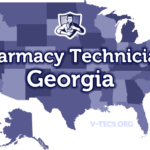 The majority of technicians and technicians-in-training work at community pharmacies, but a few technicians also work in mail-order or hospital settings. Wyoming’s pharmacy technicians earned a median annual wage of $37,730 in cities like Cheyenne. Those employed in hospitals and outpatient care centers earn the best salaries. Due to the strict requirements of the Wyoming State Board of Pharmacy, technicians acquire PTCB certification and earn salaries that outpace the national average. 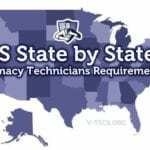 The Wyoming State Board of Pharmacy requires individuals to register by submitting a request, using a Board provided form, and receiving confirmation of registration before practicing as pharmacy technicians. Candidates can register as a pharmacy technician or a pharmacy technician-in-training, depending on their qualifications at the time of application. To qualify for registration as a pharmacy technician or pharmacy technician-in-training, you must meet the state’s age and education requirements and complete a criminal background check. The Board reserves the right to request an interview with the applicant before granting a license. Pharmacy technicians-in-training will receive a permit to commence on the job training. 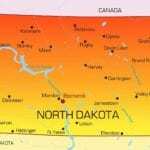 The permit will remain valid for two years from the date of issue and is non-renewable. The individual should secure employment/confirmation of training first, as the permit will list the sponsoring pharmacy. Technicians-in-training should request an immediate transfer if they change employment. Once the Board issues a license/permit, pharmacy technicians and pharmacy technicians-in-training must abide by the Board’s rules and regulations. These include wearing a name tag to identify their role in the pharmacy and executing only those functions commensurate with their abilities and in accordance with the Board’s guidelines. A pharmacy technician-in-training can perform pharmacy functions only at the pharmacy specified on the permit. Pharmacy technicians must renew their licenses yearly by submitting a request to the Board. Failure to renew on time will result in penalties and an expired license. It is illegal to provide pharmacy technician services with an expired license. Pharmacists and employers should verify a prospective employee’s license before extending an offer of employment. Pharmacy technicians and pharmacy technicians-in-training must be 18 years or older to register with the Board. A high school diploma or equivalent is necessary to register as a pharmacy technician or pharmacy technician-in-training. A high school diploma is also required to take the PTCB exam and register as a pharmacy technician in Wyoming. Applicants should submit a copy of the diploma or a letter confirming completion of high school or GED on an official letterhead. Wyoming does not require pharmacy technicians to complete formal pharmacy technician training as many individuals acquire knowledge and skills through on-the-job training. However, formal training is beneficial to those who choose to fast track their careers by preparing for the PTCB exam for registration as pharmacy technicians. Wyoming’s pharmacy technicians should have no history of drug abuse. Those with a history of drug abuse should provide satisfactory evidence of rehabilitation. Additionally, all candidates must consent to a criminal background check through the Wyoming Division of Criminal Investigation (DCI). The Board will provide a fingerprint card with an official Board stamp that applicants must use to complete the background check. The fee for the criminal history record check is $39 and takes 4 to 6 weeks to process upon receipt of acceptable fingerprints. Pharmacy technician training programs prepare students for entry-level employment. There are only a few accredited programs available at Wyoming’s community colleges, and universities as the majority of the state’s technicians acquire their skills on the job. Pharmacy employers sponsor pharmacy technicians-in-training, teaching them how to execute their responsibilities on the job. Technicians learn pharmaceutical calculations, aseptic techniques, record keeping, labeling requirements, methods for compounding, good manufacturing practices, pharmaceutical abbreviations, generic and brand name drugs, and much more. Pharmacists also prepare technicians for success on the PTCB, which is a requirement for registering as a pharmacy technician. Casper College and the Institute of Business and Medical Careers are the only two ASHP accredited programs in Wyoming. Both schools offer a degree program with limited enrollment and stringent requirements for entry. The degree option is especially beneficial for students who want to learn beyond the general education courses to have a solid foundation for further education. Casper College also offers a certificate option that is not as intense as the degree program. Pharmacy technician programs balance classroom instruction with technical training in the laboratory and clinical settings, such as in a hospital and community pharmacy. While there are many benefits of enrolling in paid programs, such as the portability of training from one employer to the next, it may not be affordable, especially for those who do not qualify for financial aid. Luckily, Wyoming’s employer-trained pharmacy technician can increase their competitiveness through a combination of PTCB certification and on-the-job experience. Whether attending pharmacy technician training at traditional schools or a local pharmacy, students will need to have a high school diploma or GED, good health, and a good moral character. The course facilitator may require students to pass a criminal background check, drug screen, and TB test as prerequisites for enrollment. Pharmacy technician training programs at accredited schools cost as must as $29,000 for associate degree programs and $4,500 for certificate programs. In addition to tuition, students must fund the cost of textbooks, uniform, insurance, and other student fees. Pre-enrollment requirements, such as competency evaluations, criminal background checks, immunizations, drug screening and TB tests are also the students’ responsibility. Attending paid programs is expensive, but financial aid may be available to defray some of the costs. The high cost of attending colleges as well as limited enrollment are the primary reasons more than 75 percent of Wyoming’s pharmacy technicians obtain their training through employer-sponsored programs. Full-time students at accredited colleges complete their training in 80 weeks while employer-trained technicians can complete their training in 12 to 18 months. Wyoming’s Board of Pharmacy requires pharmacy technicians to obtain certification through the PTCB. The Pharmacy Technician Certification Board (PTCB) evaluates technicians’ readiness for work. Technicians, who successfully pass the exam, can use the CPhT designation and demonstrate their commitment to excellence and public safety. Due to statewide certification of technicians, Wyoming’s technicians earn salaries that exceed the national average. Mass certification also reduces instances of medication errors in the state. Pharmacists are more confident in assigning tasks to certified pharmacy technicians. Wyoming’s technicians-in-training have up to two years, after receiving a permit to work, to complete training and meet the requirements for PTCB certification. In compliance with the PTCB’s policies, candidates must provide evidence of completing high school, pass a criminal background check, pass the computerized exam, and comply with the PTCB’s policies. To proceed with certification, you should submit your application online and pay the $129 fee for certification. After the PTCB sends an approval letter, you can schedule a convenient date to take the 2-hour exam at a Pearson Vue testing center near you. Certification is valid for 2 years; you must complete the continuing education requirements and pay the $40 renewal fee to maintain CPhT certification. Pharmacy technicians should email the Board to request an application packet, which will include fingerprint cards for the criminal background check. Applicants must be at least 18 years at the time of application. There are two options for registering with the Board; the following describes the steps for each process. Wyoming defines a technician-in-training as a Board-registered individual who receives on-the-job training in preparation for state licensure. Applicants should email the Board to request the application packet. Include a copy of your drivers license and social security card. Provide proof of high school completion. Fill out the fingerprint card in preparation for the criminal background check. The pharmacist should fill in the details of the pharmacy where you will complete on-the-job training. Enclose the $15 application fee in the form of a check or money order. Provide supporting documents for prior criminal convictions or evidence of rehabilitation from drug abuse. Mail the documents to the address provided below. The Board will provide a 2-year permit to successful applicants. The technician-in-training must fulfill all the requirements for registration as a pharmacy technician within the allocated period. The permit will be valid for one sponsoring pharmacy. Technicians should complete a pharmacy sponsor transfer form to work at another pharmacy. Provide proof of education, including your high school diploma and pharmacy training. Include a copy of your PTCB certification. Complete the fingerprint cards to request a criminal background check. Enclose the $50 application fee using a check or money order. Provide supporting documents is responding “yes” to criminal history disclosures on the application. Mail the application and documents to the address provided below. The Board will process the application within 4 to 6 weeks. Pharmacy technicians must inform the Board of any changes in their names or address within 30 days. A pharmacy technician’s license expires on December 31 every year. To avoid the late payment fee of $35, you should send out the renewal request before the expiration date. The Board of Pharmacy supports online renewal and also accepts paper submissions sent via the postal service. Create a profile to renew your license online or download the paper renewal form. Enclose a check or money order in the amount of $50. Pharmacy technicians should complete at least 6 continuing pharmacy education units certified by the PTCB, APhA, ACPE, WPhA, or a pharmacist supervisor. Expired licenses may be renewed no later than March 31 of the following year. After March 31, the technician can petition the Board to reinstate an expired license. Technicians who fail to complete the continuing education requirements will be issued an “inactive” status by the Board. 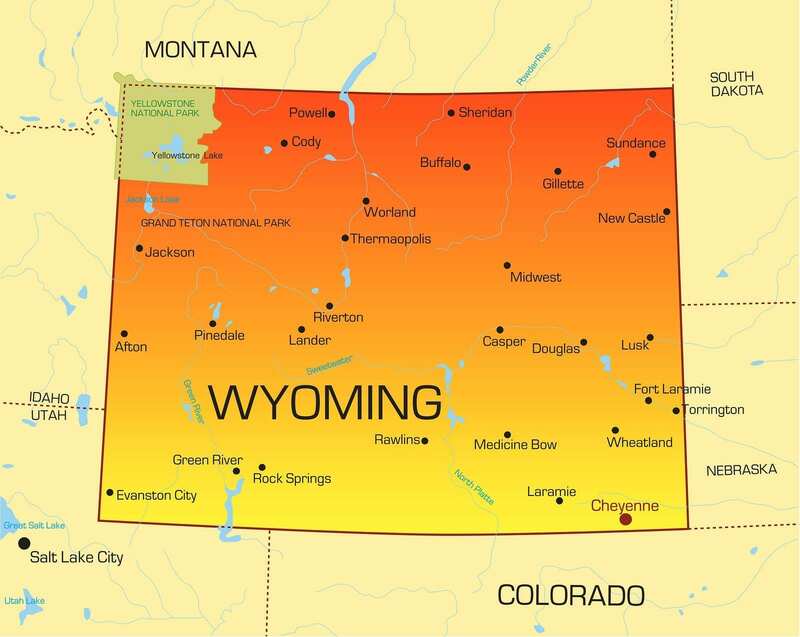 Out-of-state pharmacy technicians cannot transfer their registration to Wyoming. In order to work in the state, they must email the Board to request an application packet and follow the steps for a new application. They must have PTCB certification to register as a pharmacy technician. Institute of Business & Medical Careers, Inc.